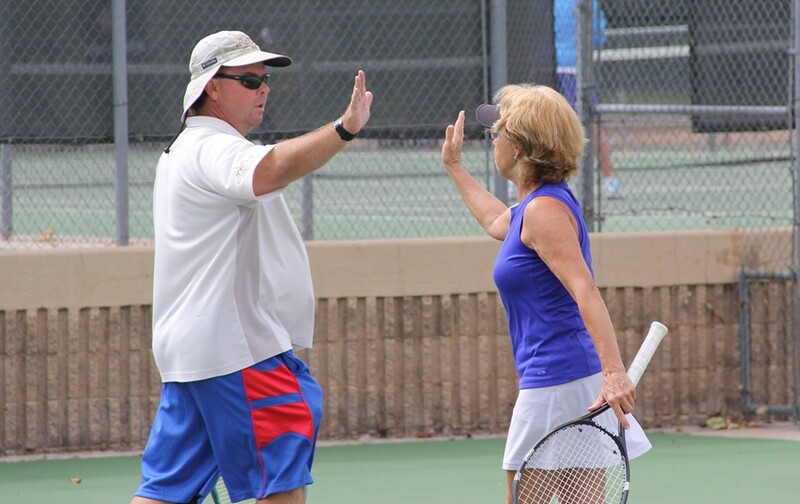 Seven new teams - five of them from Central Arizona - punched their national championships tickets after impressive showings in mid-Septemberat the USTA Southwest Adult & Senior Mixed League Section Championships in Albuquerque. Central Arizona was an unstoppable force in Mixed, claiming five of the tournament's seven divisions, with championship crowns in the Adult Mixed 8.0 and 9.0 and a clean sweep of the Senior 7.0, 8.0 and 9.0 divisions. Greater El Paso (Adult 7.0), and Northern New Mexico (Adult 6.0) aeach picked up a title as well. In 2011, Central Arizona captured four of the seven divisions. Nearly 250 players took part in this year’s event - held Sept. 14-16 at Jerry Cline Tennis Center. Teams came from six of the seven districts, all looking to extend their local runs through the Southwest Championships and on to national championships held later this year in November (Adult divisions) in Tucson, and in March of 2013 (Senior divisions) in Chattanooga, Tenn.
Northern New Mexico's Tanoan Tropics finished with a perfect 3-0 record toughing out 2-1 wins over Greater El Paso on the first day and over Central Arizona on the last day to emerge victorious in the division. Greater El Paso’s Tennis Club squad finished as the champion in one of the weekend event's more competitive divisions, going 4-1 as a team, and outdistanced Northern New Mexico (Thuma - High Point) by a single match win (12-11) to win the division. Central Arizona (Phoenix Tennis Center - Gomez) went a perfect 5-0 for the weekend to claim the six-team division. CAZ won two of their five matches by 2-1 scores, including a final-day clincher over Northern New Mexico that that gave them the title. Central Arizona (Go) dominated the 9.0 division, posting a 3-0 record. The Phoenix-based squad lost just one of 9 individual matches on the weekend, in a 2-1 win over Northern New Mexico on the second day. 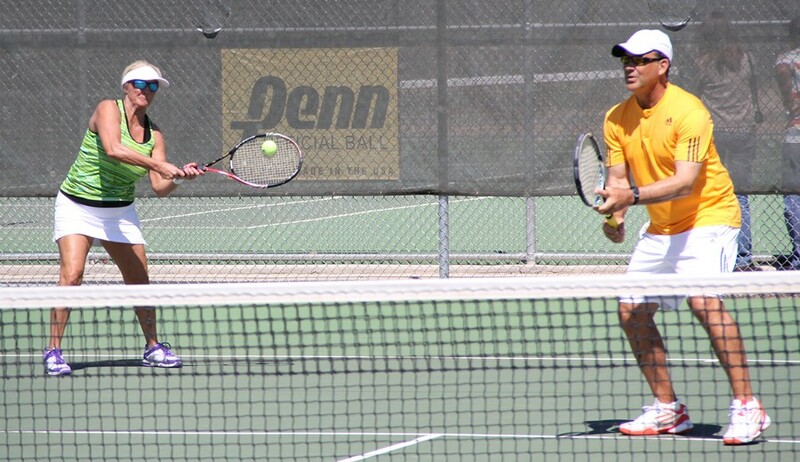 Central Arizona (Phoenix Tennis Center - Threewit) didn't drop a team match, going 3-0 in the four-team field posting 3-0 wins over two Southern New Mexico squads and a 2-1 victory over Northern New Mexico on the final day to clinch. 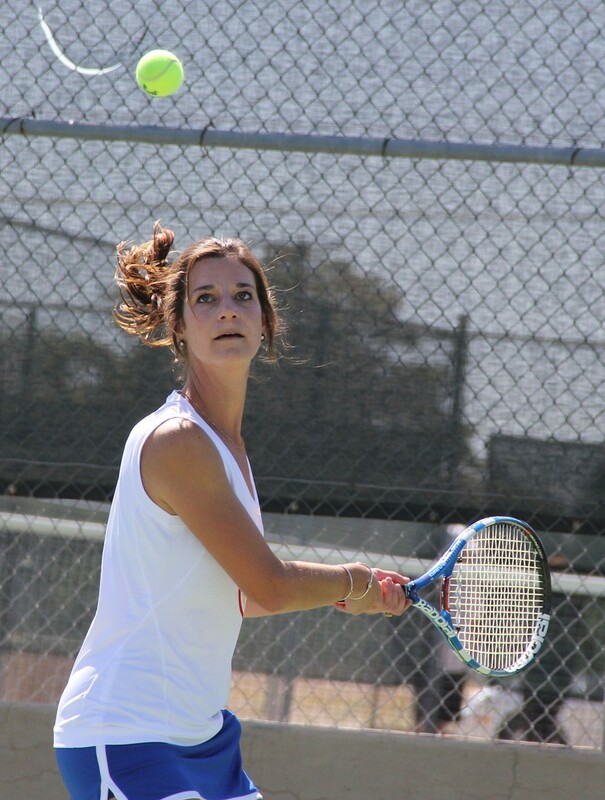 Central Arizona (Phoenix Tennis Center - Kinney) posted a 5-0 team record, including key 2-1 wins over Southern Arizona on the first day and Northern Arizona on the final day. This two-team division featured three squads - Southern Arizona (Tucson Racquet Club - O'Neil) Central Arizona (Gainey Ranch - Helgeson) and Northern New Mexico (Tanoan Racquet Club - Rivera). The Central Arizona squad ended up tied with a 3-1 record with NNM, but advanced by virtue of more individual lines won. Congratulations to all of our championship teams and good luck at USTA League National Championship events later this fall and next year! A tournament Player Party was held Saturday at the Sheraton El Paso with a special "Western" theme. Several players came dressed in full western gear, chaps, 10-gallon Cowboy hats and boots. A great time was had by all, as Head/Penn and USTA Southwest gave out player prizes including backpacks and USTA Southwest Nike Dri-Fit hats. The host venue for this year’s 2012 USTA Southwest Mixed League Section Championships was Jerry Cline Tennis Center. A special thanks goes out to Jerry Cline and the City of Albuquerque Parks and Recreation Department for allowing us to use their courts amidst the center's ongoing construction that will completely renovate their proshop area. We appreciate your support of USTA Leagues! Please support Clif Bars as a thank you for their support of USTA Leagues. For more information go to www.clifbar.com. Our players love these snacks from Clif Bar and definitely appreciate their support of USTA League tennis! Active Forever, a therapeutic and rehabilition products company located in Scottsdale has also recently joined on as a USTA Southwest league sponsor. We would like to thank them for their support and would also like to encourage players to visit their website at www.activeforever.com to look at a range of therapeutic devices braces (for all body parts), athletic tape, athletic drinks, and a multitude of other products that fit your busy and actife lifestyle. Another big shout out to Head/Penn Racquet Sports for being the official ball sponsor of USTA Leagues. Their home base is in Phoenix, and we truly appreciate their terrific support, which also includes an assortment of gifts and raffle prizes at all of our player parties!